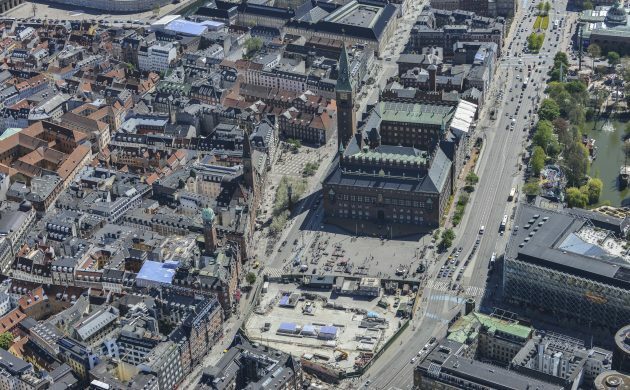 Earlier this year, the green wall that hid the ongoing Metro construction process came down at the historic Copenhagen landmark Kongens Nytorv. Now it’s the turn of another iconic location in the capital to shed its unsightly Metro construction skin. City Hall Square, known locally as Rådhuspladsen, has been blighted by the wall for six years now, but over the next weeks the emperor of city landmarks will be unveiling its new clothes, along with some of its old ones. “The taking down of the green wall is a reminder that we are drawing close to the opening of Copenhagen’s new Metro line, which will reduce congestion and tie the city together in a new and sustainable way,” said the city mayor, Frank Jensen. Initially, the wall will be replaced by a barbed-wire fence, which will cordon off the ongoing work leading up to the new City Ring line opening in July 2019. 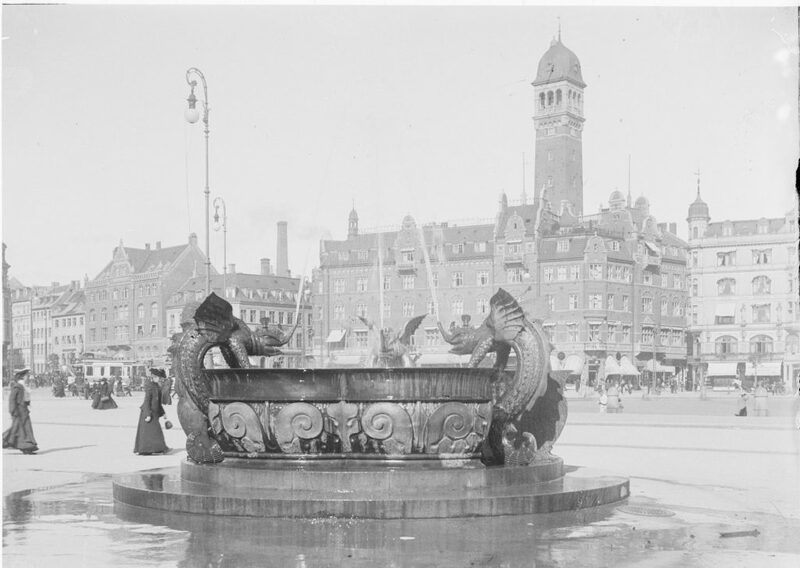 The Old Dragon Fountain, which is as old as the City Hall building itself, will return to the fold in an even more prominent location in the middle of the square. Among the new items is a little urban forest consisting of 60 trees, which will replace the bus area at the far end of the square. A further 10-15 trees will also be planted on and around the square. When it opens, the Metro station is expected to be used by 14,000 passengers on a daily basis, while the journey from the City Hall Square to the Marble Church will be reduced from 23 to five minutes. 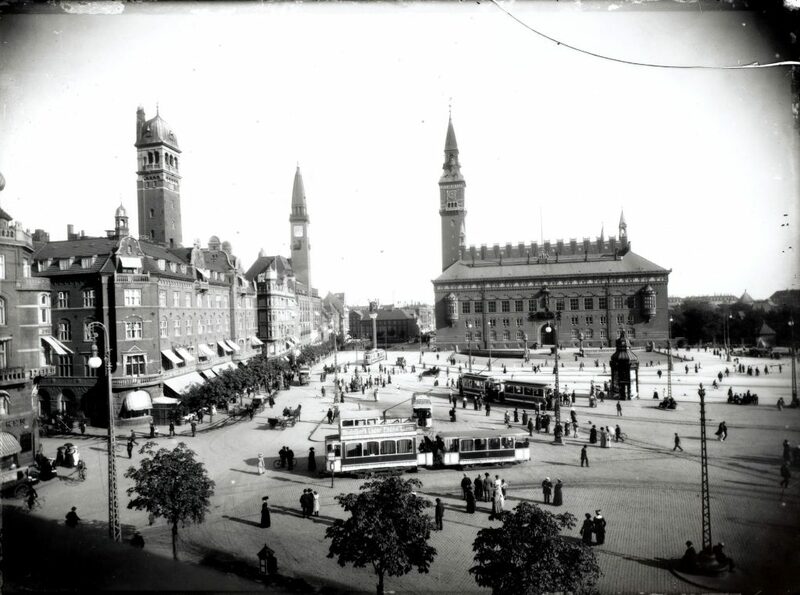 It will take just three minutes to get to Enghave Square and seven minutes to Trianglen Square in Østerbro. With 17 new stations, the new City Ring line will connect the downtown area with Frederiksberg and Østerbro, while further expansions are also planned to reach Nordhavn and Sydhavn in the future. By 2025, the Metro will be catering to 174 million passengers annually and stopping at nine of Denmark’s ten busiest train stations.